Black Friday Marketplace Sale Started! 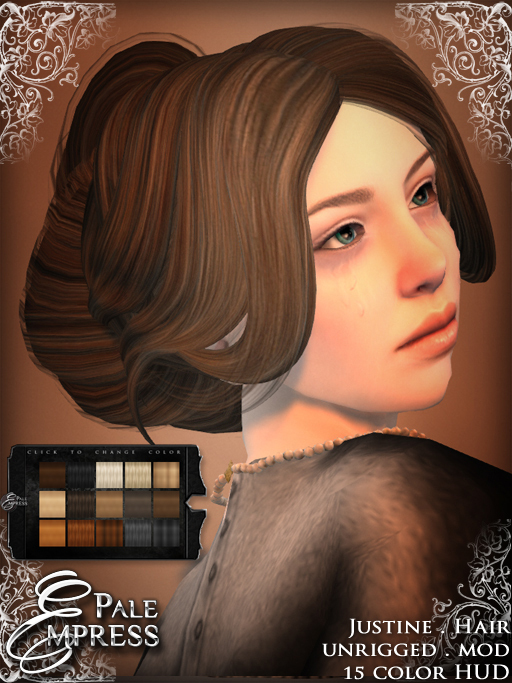 Pale Empress is having a huge sale on Marketplace for the Black Friday: all the single colours have been unlisted and all the fatpacks have been set for sale for L295. This is your chance to grab all those extra colours you hesitated on or to purchase new looks in huge variety of colours, all for the price of one! 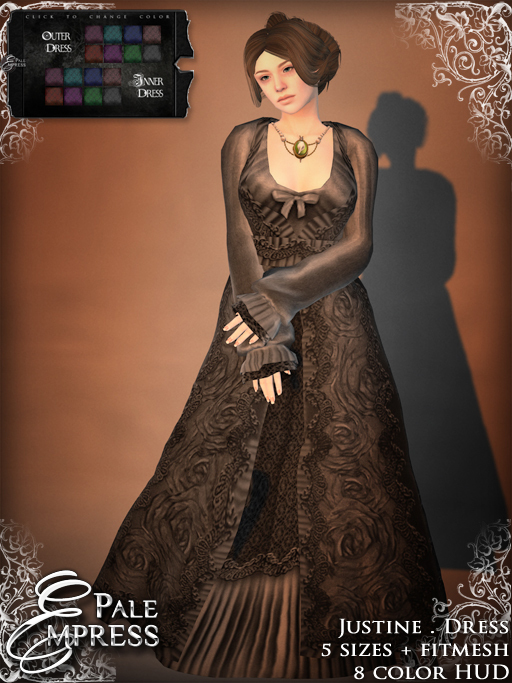 The sale is already going on and will last until midnight SLT on Sunday, November 30th. 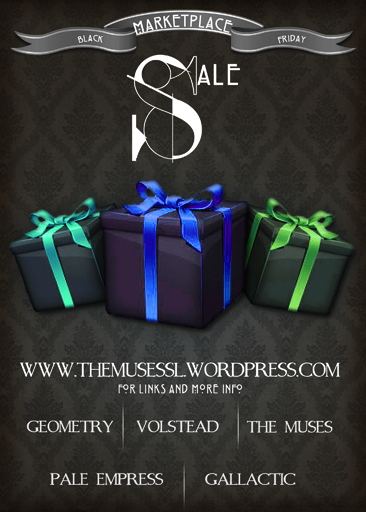 In addition to Pale Empress, there’s also a similar sale in Volstead, The Muses, Geometry Clothing, Leto and GALLACTIC.